Do you really need to use bottled water at home and at the office? 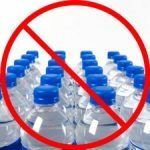 Bottled water isn’t necessarily cleaner or better for you than tap water – in fact, often it is tap water that’s been filtered. You can do the same thing by using a Brita pitcher or installing a filter on your faucet. You’re already paying a substantial sum to get clean tap water, so you might as well drink it. And what about when you’re out? Get a reusable container (readily available at local stores, including Whole Foods) and fill it with tap water. Or check your cabinets – you probably already have one! 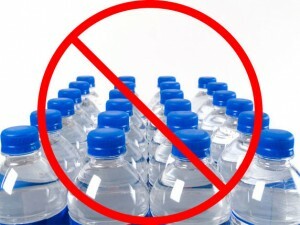 Wasting Water: Including making the bottle, it takes an estimated 3 liters of water to produce 1 liter of bottled water. Trash – most water bottles are not recycled, and end up in landfills, incinerated or in waterways: Americans use more than 73 billion half-liter plastic water bottles each year, but only about 1/3 are recycled. In 2013, an estimated 2 million tons of PET was wasted. concerns about plastic bottles leaching chemicals. Check out information about our GO GREEN Needham campaign and about ways that you can participate – Reducing and/or eliminating bottled water is a “Zero Waste” action on this page – get started with your plan to “GO GREEN”!